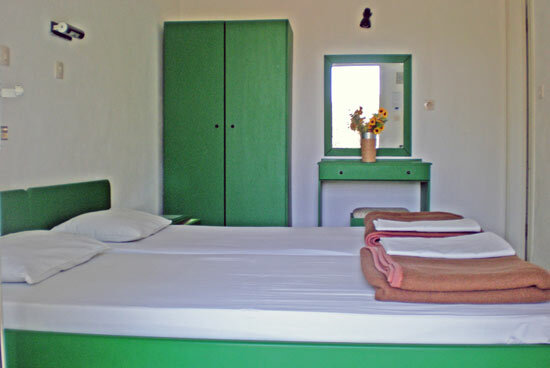 Our studios are 18,5 m² in size and can comfortably accommodate 2 persons or even a 3rd on a camp bed. 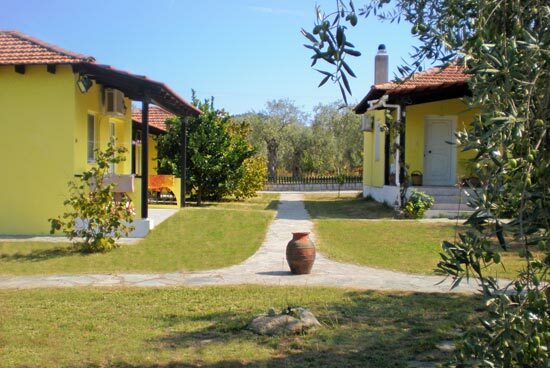 Each have a private bathroom and shower, kitchenette with crockery and utensils, and air-conditioning units used for cooling during the summer and heating during the winter. 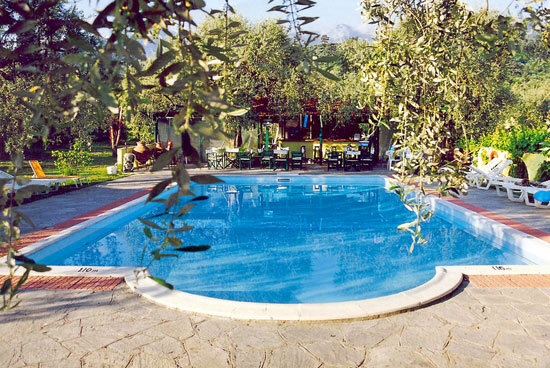 Every studio also has a patio that looks onto the garden or the pool. You will have a refrigerator, a 2-ring cooker, maid service 4 times a week, and linen change twice a week. Enjoy your morning cup of tea/coffee at the bar, overlooking the pool. Or why not try one of our breakfasts. 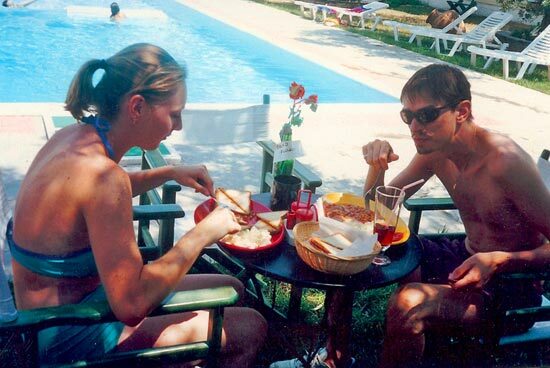 Snacks are served all day - it’s your holiday, so you decide when you want to eat! 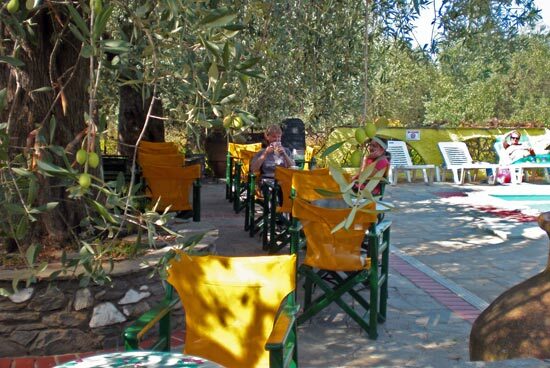 Thassos olive oil and olives are renowned for their full flavour and at the Aberdeen Studios the oil on your salad is from our own biological harvest. Delicious! 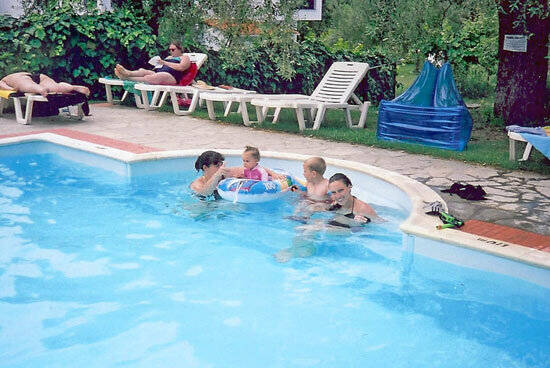 Perhaps after a busy day you intend to spend a quiet evening with your family or friends, then where more relaxing than at the pool bar sipping a cocktail or cold beer. 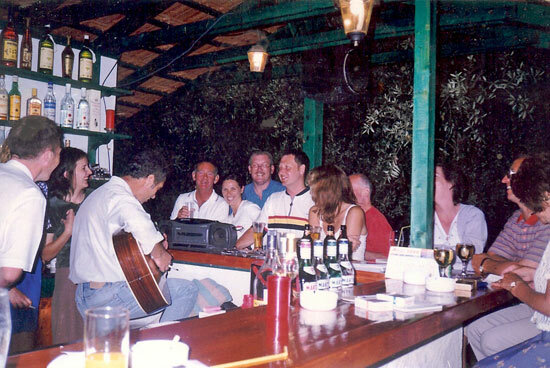 Listen to a wide range of music at the bar. Rock, jazz, Greek. We have a varied selection and with Vasilis being a musician and member of a well-known band which performs all over Greece and on national TV, he takes an interest in what his guests are listening to. Click here to learn more about Vasili's band, Kerthoskopiki Simoria. Deposit required in advance is 50% of the total. Yassas! 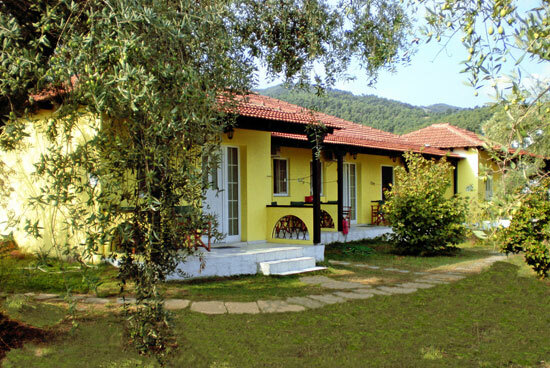 And welcome to Aberdeen Studios, a spacious family-run complex on the outskirts of Limenas (Thassos town). Perhaps you have heard of, or sampled Greek “philoxenia”-well, it starts here! 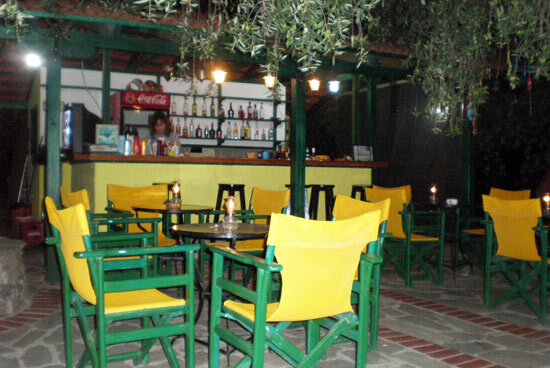 Vasilis, the owner, will go out of his way to help and advise you should you have any queries regarding his island. Add a wee drop of Scottish hospitality, from Carol, your hostess (she’s always on hand to help you settle in) and you will find yourself unwinding the minute you arrive. Unburden yourself of your luggage and your day-to-day worries and indulge in the Aberdeen experience. 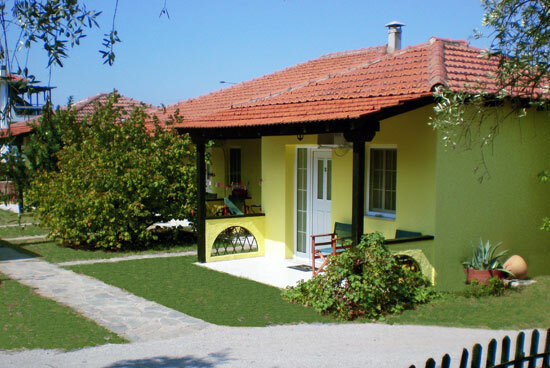 Situated 500m from both the ferry port and the nearest beach, you are also only 800m from the centre of Limenas. So all amenities are within walking-distance, yet you are in peaceful surroundings even in high season. 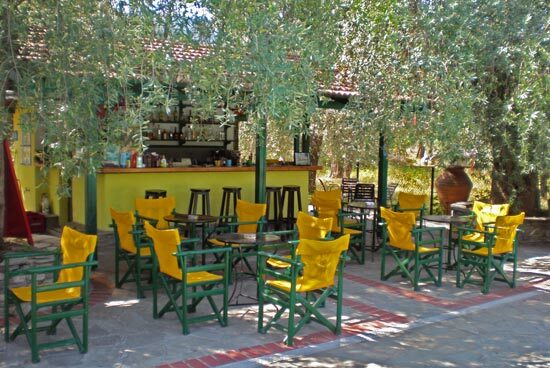 In Limenas you’ll find numerous tavernas serving traditional delicacies, fresh fish and of course the local “tsipouro”. When it comes to buying gifts, you may browse amongst the shops till you find that perfect “something”. Whilst on Thassos you can visit some of the many archeological sites of interest, such as the museum, ancient theatre and market-place. 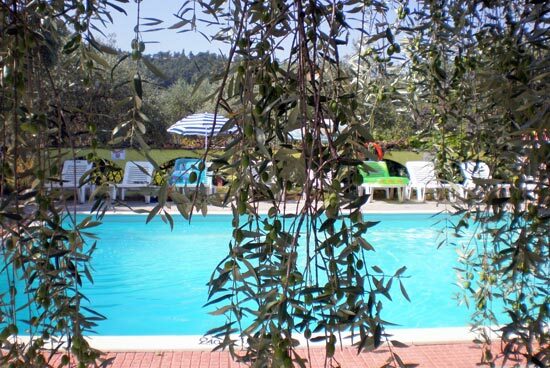 The studios are all on the ground floor, amongst the olive trees and within easy reach of the large, well-maintained swimming pool. 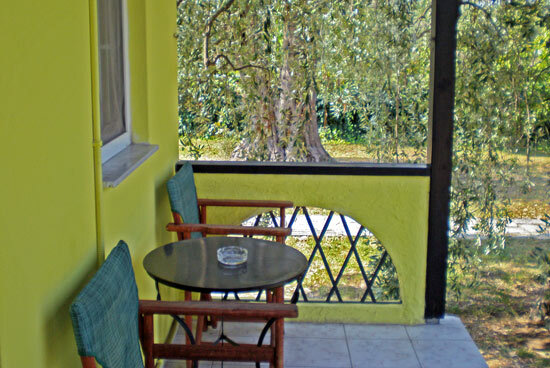 You will enjoy sitting on your patio, watching the world go by, reading or simply enjoying the peace and quiet. 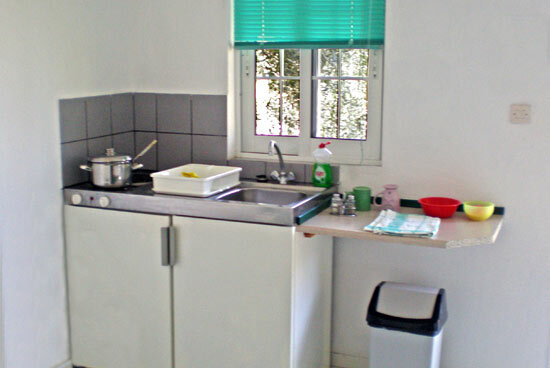 When staying with us you will be in a twin-bedded studio which has a kitchenette and shower/WC. A camp-bed can be added for a 3rd person. There is parking on the premises and the more active guests can also play volleyball. 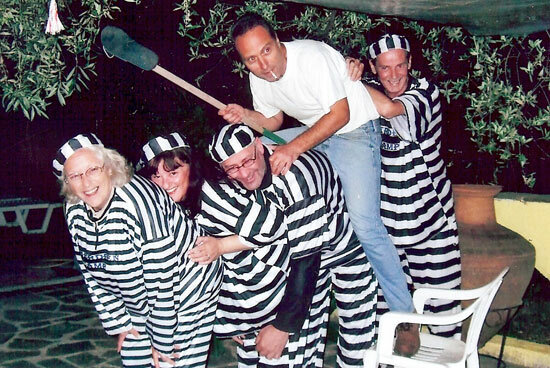 Vasilis, Carol and family live on the complex and are always on hand to ensure your stay at Aberdeen is memorable.